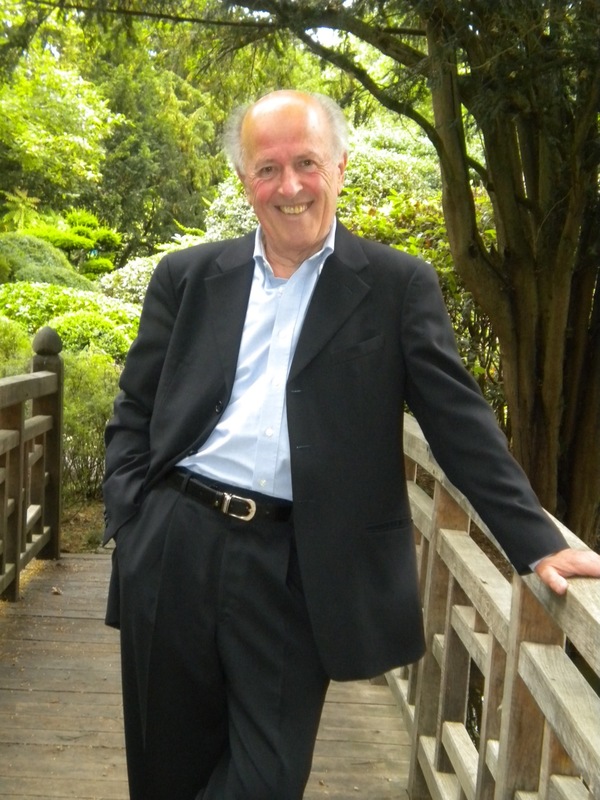 Dr Haydn James is a conductor/arranger with many years experience in the world of choral music. For twelve years, he conducted The Dylan Singers, and for the following thirty years was Musical Director of The London Welsh Male Voice Choir; also, for five years Haydn travelled to Wales to direct The South Wales Male Choir, one of the largest choirs in the Principality. During this time, he has appeared at most of the UK’s major concert halls, and has toured extensively throughout Europe, North America, Canada, Australia, New Zealand, South Africa, South America and the Falklands. Haydn was the first conductor of an exciting new young male chorus, Eschoir, and regularly appears as guest conductor with a number of mixed and male choirs. As Musical Director for the Welsh Rugby Union, Haydn has led the singing at more than 120 international matches at Cardiff’s Principality Stadium (previously known as The Millennium Stadium), as well as at a variety of Rugby Union, Rugby League, NFL and FA Cup Finals in Cardiff, Twickenham, Wembley and elsewhere. He has directed Melody Music’s British and Irish Lions Male Choir on tours to Australia (2001 & 2013), New Zealand (2005) and South Africa (2009), and has conducted nine massed choir festivals (the ‘1000 Voices’) at the Royal Albert Hall, as well as at similar events in Cardiff, New York, Sydney, Toronto and elsewhere. He is President of both the Hart and Rushmoor Male Choirs, Vice-President of the London Welsh, Pendyrus, Morriston Orpheus, Maesteg & District and South Wales Male Choirs, and an Honorary Patron of the Australian Welsh, Burlington (Ontario) Welsh, Pontarddulais and Romsey Male Choirs, as well as an Honorary Member of the Treorchy and Gwalia Male Choirs. A committed supporter of Hymn-Singing Festivals (the Gymanfa Ganu), Haydn has directed festivals throughout Wales and England, has conducted five Festivals in Canada and two for the North American Festival of Wales, in Vancouver and Florida. He led the first such festival to be held in Sioux City, Iowa. Haydn has worked with many of the country’s leading artistes, including Bryn Terfel, Sir Geraint Evans, Katherine Jenkins, Aled Jones, Rhys Meirion, Gwyn Hughes Jones, Dennis O’Neill, Jason Howard, Rebecca Evans, Leslie Garrett, Charlotte Church, Tom Jones, Max Boyce, Rick Wakeman, Take That and many others. In addition, he has conducted The Cory Band, The Black Dyke Band, The Regimental Band of The Royal Welsh, The Band of the Welsh Guards, The Band of the Irish Guards, The Band of the Life Guards, The Band of the Grenadier Guards, The Band of the Blues and Royals, The Royal Marines Band and the Central Band of the RAF. As a choral arranger, Haydn’s work has been performed and recorded by many of the top male choirs in the UK and elsewhere, whilst some of his arrangements have been performed at Royal Albert Hall (the ‘1000 Male Voices’ concerts), as well as at massed choir concerts in Sydney Opera House and Carnegie Hall, New York.